Brilliant.... a ten star production if ever there was one. What a wonderful thing it is that London can come up with such a joyous, life-affirming and exuberant blaze of colour. 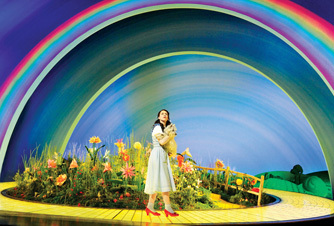 Follow the yellow brick road over the rainbow and into the Palladium Theatre for a magical musical treat, The Wizard of Oz. Drawing from the celebrated classic 1939 film by MGM, Andrew Lloyd Webber has re-conceived the ever-popular screenplay for the stage. His production of one of the world's best-know tale contains all of the much-loved characters and well-known songs from the Oscar award-winning musical score, such as Over The Rainbow and Follow The Yellow Brick Road, as well as a few new gems. 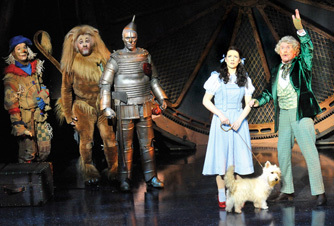 The Wizard of Oz follows the story of Dorothy and her little dog Toto, who find themselves in a magical land after getting swept up in a mighty twister and blown over the rainbow. Along with her delightful new friends Scarecrow, Tin Man and Lion, Dorothy and Toto journeys through the Land of Oz to find the Wizard. 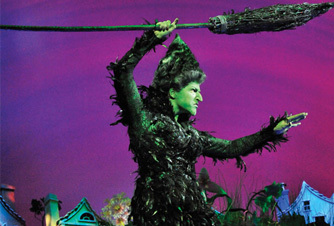 But beware the Wicked Witch of the West and her winged monkeys! 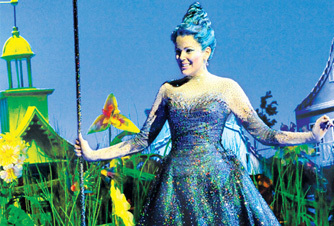 Webber's wonderful adaptation of The Wizard of Oz, produced by Bill Kenwright, features superb choreography by Alene Philips, renown for hit-musicals Grease, Flashdance and We Will Rock You, and stars Danielle Hope as Dorothy, David Ganly as Lion, Paul Keating as Scarecrow and Edward Baker-Duly as Tin Man. 2 hours and 45 minutes with one 15 minute intermission. Sound good to you? 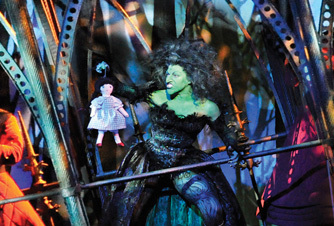 Share this page on social media and let your friends know about The Wizard of Oz at London Palladium. 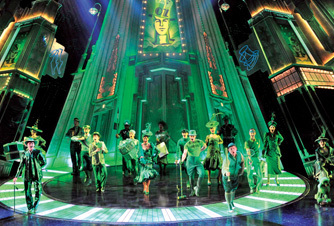 Please note: The term London Palladium and/or The Wizard of Oz as well as all associated graphics, logos, and/or other trademarks, tradenames or copyrights are the property of the London Palladium and/or The Wizard of Oz and are used herein for factual descriptive purposes only. We are in no way associated with or authorized by the London Palladium and/or The Wizard of Oz and neither that entity nor any of its affiliates have licensed or endorsed us to sell tickets, goods and or services in conjunction with their events.